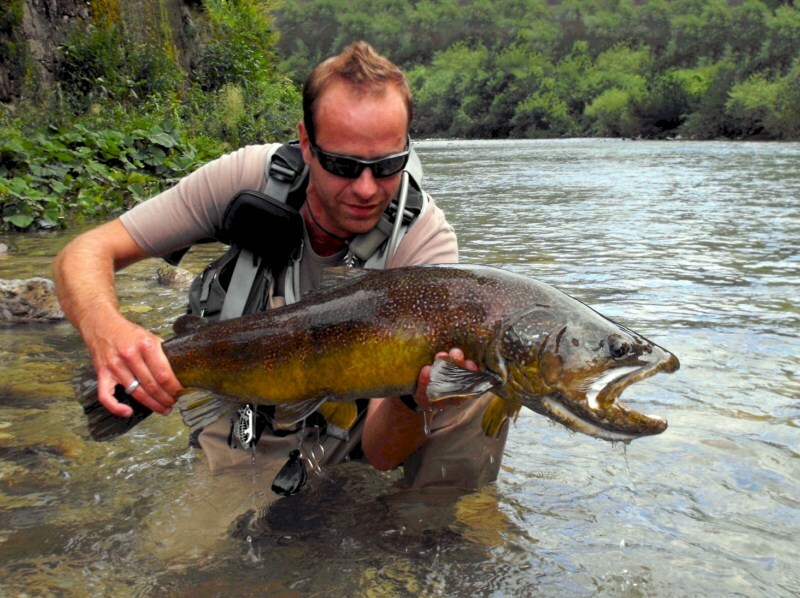 Marble trout is only indigenous species of trout in the Adriatic (Western) part of the river system in Slovenia. This Soca watershed, which flows into the Adriatic, consists of the river Soca and its tributaries RiÅ¾ana and Reka. Marble trout originally evolved from the brown trout. Its colouring and marbled pattern changes from river system to river system, so it is possible to find genetically pure marble trout with red dots or splotches. The marble trout´s diet changes with age: the smaller fish feed on nymphs principally, and sometimes take emergers or dry flies. That changes as they grow bigger and need more energy to sustain their bodyweight. Then they become carnivorous, feeding mostly on other species of fish. 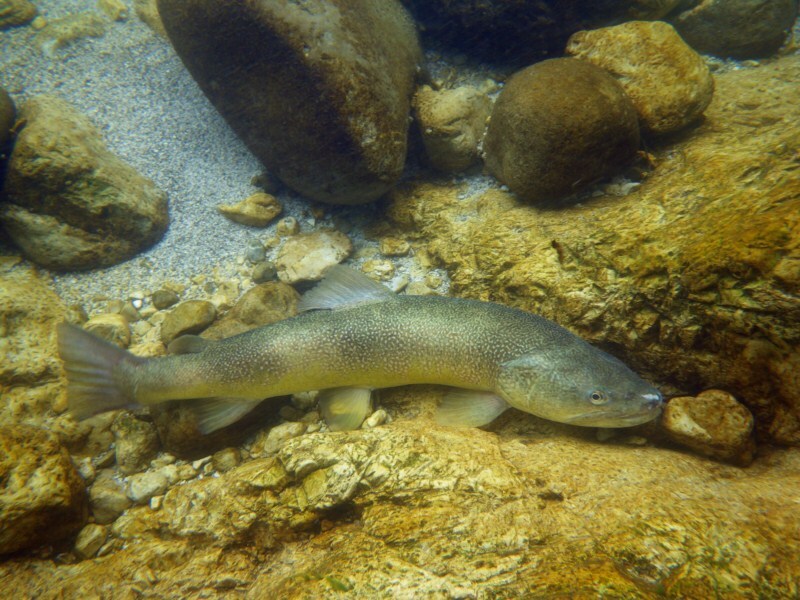 Misguided attempts to improve fish stocks in the past led to the introduction of brown trout into marble trout waters, where they successfully reproduced with marble trout, producing fertile offspring. As a result, pure-bred marble trout nearly became extinct. 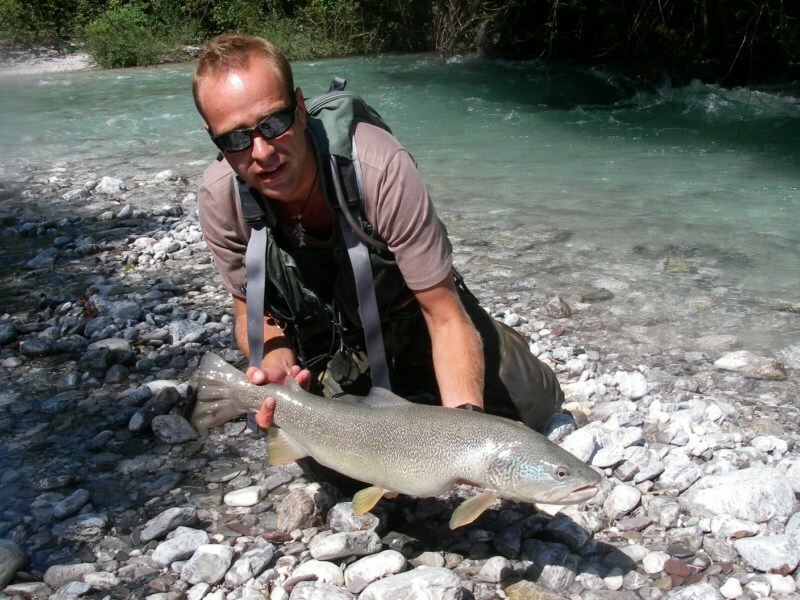 Thanks to huge efforts by the Fisheries Research Institute and the Tolmin Angling Club, natural and genetically pure marble trout are now again the dominant species in the Soca watershed. Rainbow trout and greyling, which do not breed with the marble trout, also populate these rivers.